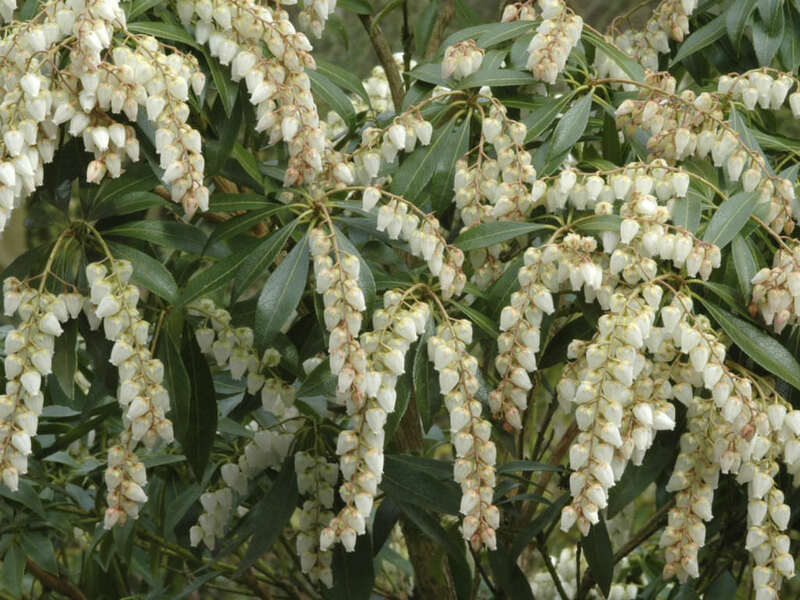 Pieris japonica is a shrub or a small tree, up to 13.1 feet (4 m) tall, occasionally up to 32.8 feet (10 m), with alternate, simple leaves on brittle stems. 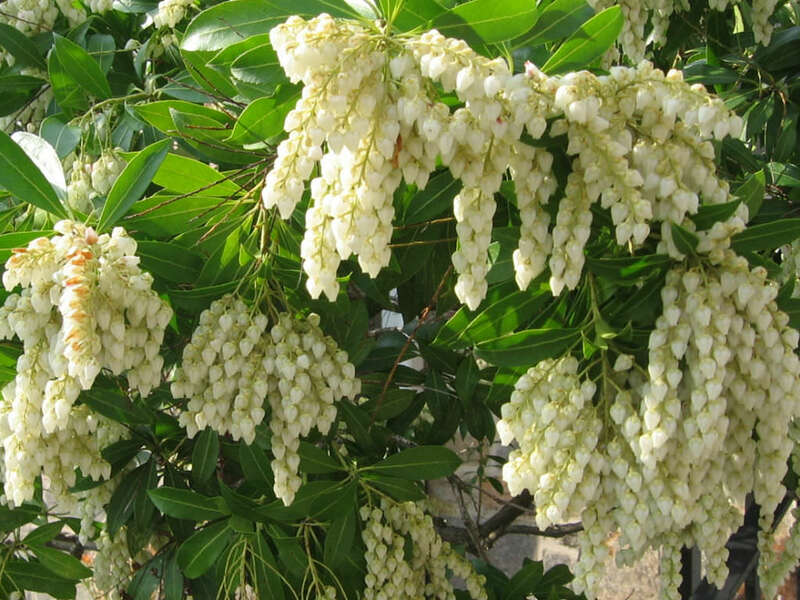 The flowers are white, borne in early spring and lasts usually for two or three weeks. As they are originally from a forested habitat they do best in dappled shade. 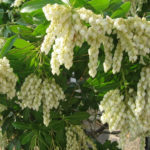 Strong sun in early spring can burn the tender new growth. 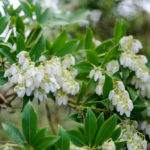 They will not do too well in full shade as they won’t produce as many flowers and the color of the new growth won’t be as intense. They need well-drained but moisture retentive humus-rich acid soil. If you have an alkaline soil you will have to grow it in a pot; you can add ericaceous compost and feed and mulch with pine needles but it will only be temporary and an alkaline soil will always be an alkaline soil. 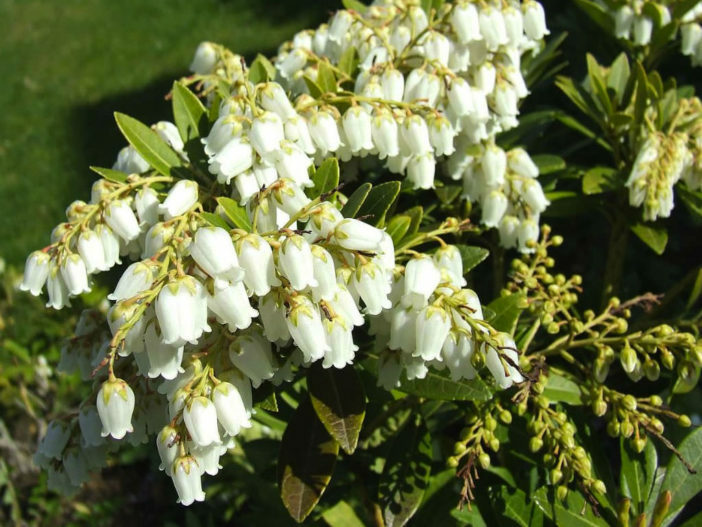 They are a hardy shrub but it may need some protection from late frosts which will burn the new growth and flowers. 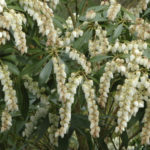 The frost probably won’t kill the plant but it will mar the spring display which is usually the main reason it is grown. 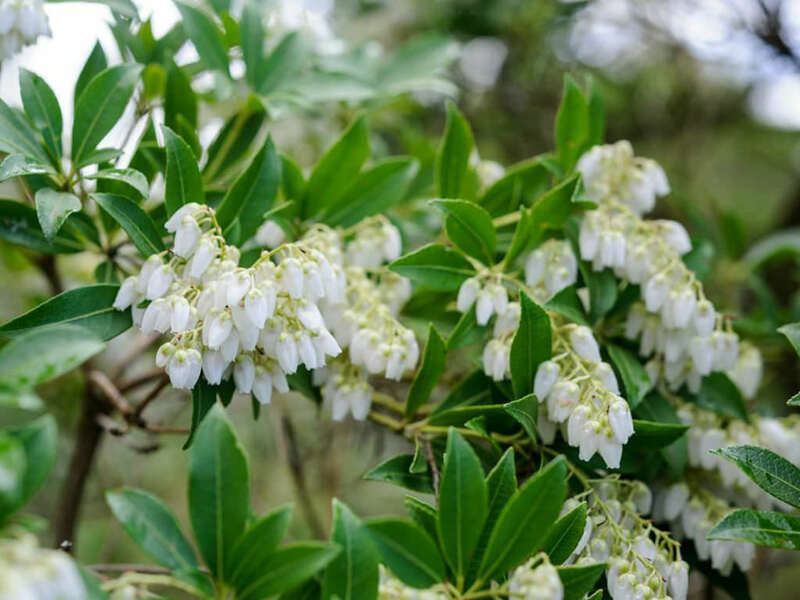 Native to eastern China, Taiwan, and Japan where it grows in mountain thickets.